NABARD Development Assistant Pre Marks 2018: NABARD - National Bank for Agriculture and Rural Development has announced the Result on 02 Jan 2019 for NABARD Development Assistant Pre Exam 2018 . NABARD Development Assistant Marks 2018: NABARD - National Bank for Agriculture and Rural Development has announced the Result on 02 Jan 2019 for NABARD Development Assistant Exam 2018 . 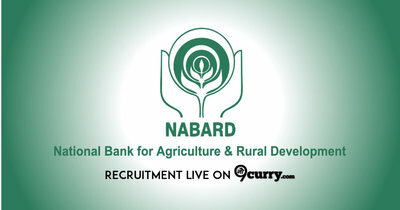 NABARD Development Assistant Phase II Result 2018: NABARD - National Bank for Agriculture and Rural Development has announced the Result on 08 Dec 2018 for NABARD Development Assistant Phase II Exam 2018 . NABARD Development Assistant Main Exam Admit Card 2018: NABARD - National Bank for Agriculture and Rural Development has issued the Admit Card on 10 Oct 2018 for the exam which is scheduled to be held on 21 Oct 2018. NABARD Development Assistant Pre Result 2018: NABARD - National Bank for Agriculture and Rural Development has announced the Result on 10 Oct 2018 for the exam which was conducted on 29 Sep 2018. NABARD Development Assistant Admit Card 2018: NABARD - National Bank for Agriculture and Rural Development has issued the Admit Card on 19 Sep 2018 for Development Assistant Exam 2018. Eligible candidates may apply online at NABARD's website (direct link is given below) from 27 Aug 2018 to 12 Sep 2018.